In Uzoukwu v. The City of New York, Afam Uzoukwu was sitting on a park bench near a playground where the park rules stated that only adults with children in their custody could be present. Two cops approached him and asked if he had kids with him and so forth. By all accounts, Uzoukwu, whose children were playing in the park, did not respond, which the plaintiff attributed to having his headphones on and not hearing the cops. One of the officers testified that he tried to get plaintiff's attention by taking his food and throwing it out. According to the officer the man began to yell and the officers then arrested him for OGA (obstruction of governmental administration) and disorderly conduct. He claimed that he did not raise his voice the officers began to strike him. Notably, he was not charged with being in the area without children in his custody, indicating that the officers knew that he was not committing the offense for which they first approached him. In any event, the criminal charges were dismissed and he sued. At trial, during deliberations, the jury asked specifically whether "refusal to acknowledge/respond to police questions [is] considered obstruction of governmental administration." The district judge said not strictly speaking, but the jury should look at the "totality of the circumstances." The jury then found for the officers. 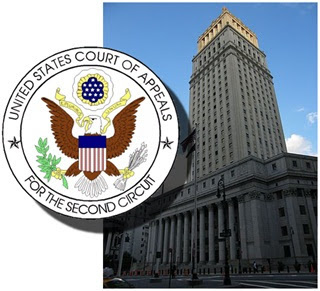 The Court of Appeals reversed, finding that the law in New York expressly stated that a refusal to answer questions was not OGA, period, and that the jury should have been told this unequivocally. The case has been sent back for a new trial. In a narrow sense it's a good decision because it clarifies the limited reach and scope of OGA, which the NYPD tends to overcharge too often. It also underscores the larger problem, which is state of relations between the police and poorer communities and people of color. The entire episode was entirely avoidable. Sure, the police were justified in asking Uzoukwu if he had children with him, but the fact that it devolved into violence and an arrest is absurd. City lawyers expended hundreds of hour defending it, and the trial and appellate courts more time supervising the litigation. The likely outcome now is a settlement to avoid a second trial, and all of this because of how cops and civilians communicate. I expect plenty of people will say that Uzoukwu should have just answered their questions, which is not an unreasonable thought. But he has testified that he did not hear them initially and they became violent when he did not initially respond. In any event, the police initiated the contact and had control over the tenor of the conversation. There was no need for this simple exchange to get out of hand. Put simply, if you want respect, you have to give respect. The officers, who have to acknowledge what decades of race-based policing have done to their relationship with the people they serve, have to adjust accordingly; this is not a police state yet, and we have the right to remain silent, even when it might be in our better interest to speak up. Had the matter been handled with a touch more patience and a thicker skin, a lot of time, money, and aggravation could easily have been saved.